Dr. Jennifer Johnson is an experienced and committed optometrist who draws energy from her work and the warm relationships she cultivates with her patients. Inspired to pursue optometry because of her family’s own eyesight challenges, she understands the frustration of not being able to see, and dedicates herself to enhancing the vision of every patient she meets. Dr. Johnson is a board certified optometrist; she received her Bachelor of Arts degree from Kansas State University and earned her Doctorate of Optometry at the University of Houston. She has practiced at Grin Eye Care since 1995. She provides comprehensive eye exams, treatment of eye disease, cataract and LASIK surgery pre- and post-op management. 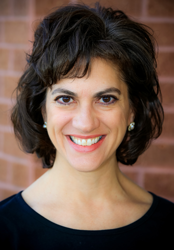 She specializes in fitting soft, rigid gas permeable (including scleral devices) and hybrid contact lenses on all types of patients, including those with astigmatism, loss of near vision, corneal disease and low vision. Through Dr. Johnson's long-term relationships with professionals in the eye care industry and decades of experience, Grin Eye Care is able to provide their contact lens patients with the newest available materials and types of contact lenses. Dr. Johnson is an active member of the Olathe Noon Lions Club, which helps Grin Eye Care provide treatment for children from low-income families. As the proud parents of five children, Dr. Johnson and her husband lead very abundant lives.